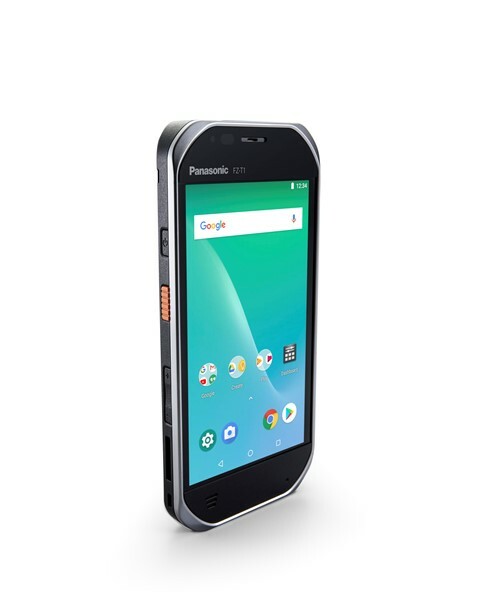 With a slim and stylish exterior, the Panasonic FZ-T1 looks like a regular smartphone. Closer inspection reveals it’s actually a fully rugged handheld complete with barcode scanner. Running on Android 8.1 it has a 5” HD display with anti-reflective technology so it can be used outside in daylight. 4G voice and data capabilities and a snappy quad-core Snapdragon processor make this a powerful all-in-one device. Certified and tested to comply with MIL-STD-810G standards and IP68-rated, the FZ-T1 can withstand being dropped from up to 1.5 m and can be immersed in water for up to half an hour. Who is the Panasonic FZ-T1 Best For? The Toughpad FZ-T1 can be used in nearly any industry but it's ideal for people working in the field because it’s water resistant, dust resistant and rugged. If you work outside in all weather conditions, you’ll appreciate that the screen works perfectly in the rain and with gloves on. 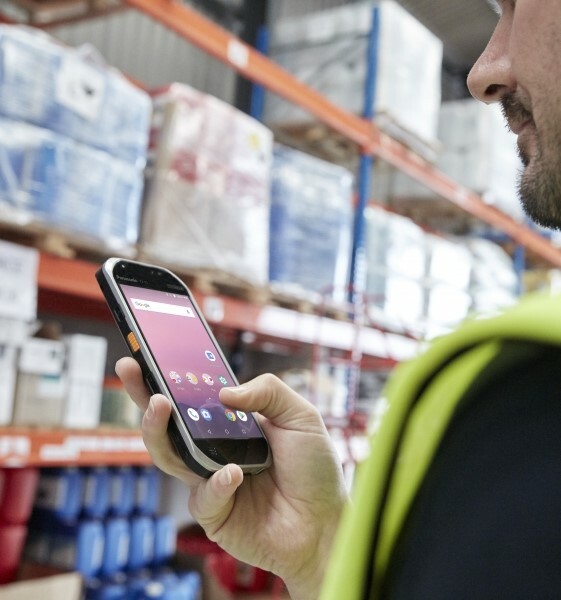 Other applications we recommend this rugged handheld for include: warehouses, transport yards, delivery vehicles, production lines and retailers. Many tough, dusty environments are also noisy but with the Panasonic FZ-T1 that’s not a problem. It has three microphones that combine with intelligent noise cancelation technology to make sure you can be heard clearly no matter where you are. Need a device that can be used all day without charging? Panasonic claims the 3200mAh removable battery included with the FZ-T1 provides up to 12 hours of continuous data access time. 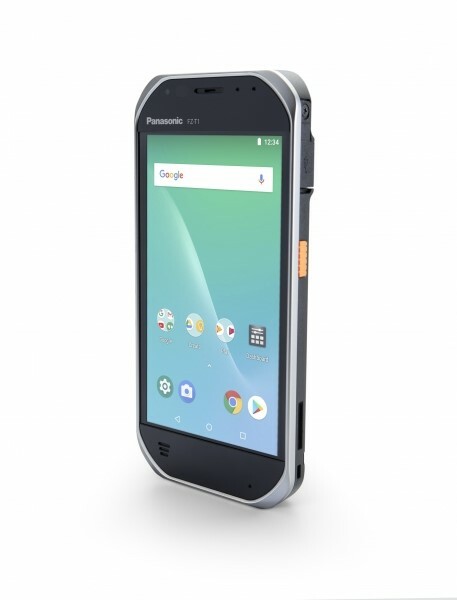 With an optional second battery you can warm swap batteries which means this rugged smartphone can be used heavily on shifts without running out of juice. Like all Panasonic devices, there are many optional accessories to customise the FZ-T1 to suit your industry and application. A holster and gun grip combine to make this the perfect device for warehouse workers, forklift drivers and retailers who need a powerful barcode scanner. Vehicle cradles and five-bay charging cradles are a popular option for businesses who use these in their fleet vehicles. How Tough is This Rugged Smartphone? This is a rugged device, tested to meet the standards of MIL-STD 810G and IP68 rated, but what does that mean in practical terms? MIL-STD is a standard set by the US military to measure the durability of equipment used by soldiers in the field. This means the device is certified to be “gravity drop resistant” from a height of 150 cm. Panasonic also tested the device with a tumble test in which the FZ-T1 was dropped 1000 times from a height of one metre. IP68 rating determines how waterproof and dust proof a device is. To be IP68 rated a device must be tested and found to withstand dirt, sand and dust. IPx8 testing of the Panasonic FZ-G1 found that it can be fully submerged in up to 1.5m of freshwater for up to half an hour and still keep working! Want to know more about the FZ-T1? Talk to one of our rugged hardware experts on 1300 131 933 or contact us online.